Chrichton's World: Review True Memoirs of an International Assassin (2016): Not bad actually! 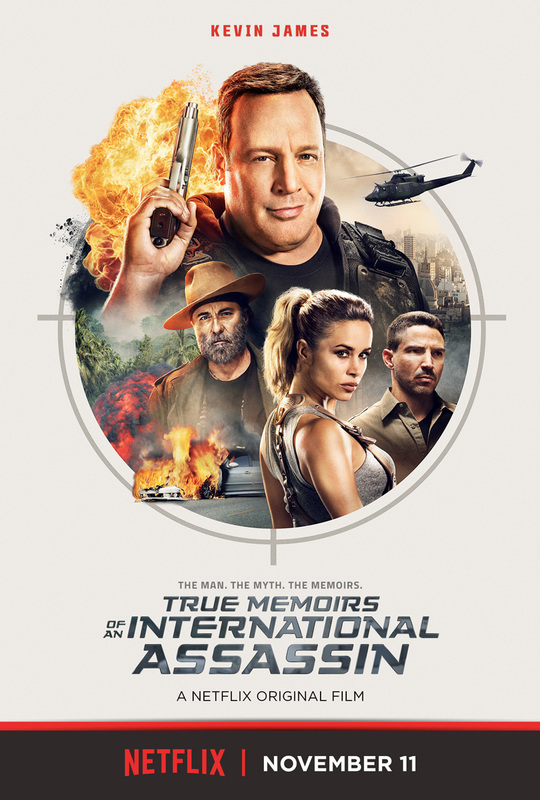 Review True Memoirs of an International Assassin (2016): Not bad actually! To be honest I wasn't expecting that much and even was prepared for it to be very bad. However True Memoirs of an International Assassin might not be original, it does manage to entertain you. Especially if you are willing to overlook the overused clichés that come with the typical fish out of the water plot. For that the credit has to go to the cast who do their best to make everything digestible. The plot itself might seem lazy but because the actors are willing to make it appear more interesting you won't get annoyed. Ron Rifkin and Andy Garcia might not be in this as much I as would have liked to but with the very little screen time they have they do a lot. Maurice Compte also struck a cord with me. Kelen Coleman looked familiar only I did had to look up where I might have seen her in. Which BTW is The Newsroom. If you didn't remember her from there you will remember her performance in this since she is hilarious. Unfortunately she is also not that much in the film. Still better a shorter memorable role than a longer unforgeable one, right? I can't promise that you won't get bored because for an action comedy this film could have used more jokes and action. But overall speaking I can't deny that it did make me laugh more than I had hoped for and that the action was adequate. One thing I liked is how we are shown how Sam Larson or actually his alter ego Mason Carver (Kevin James) gets into action while Sam is writing about it and how those scenes change when he decides to write the story differently. This occurs throughout the film and thus sometimes the film tricks you whether what you are seeing is true or not. The slow parts are the scenes where Sam Larson has real trouble to wrap his head around the situation he has found himself in. He is very close to whining all the time. Luckily he never goes overboard with this and he remains likable. Of course you will know how the story play out. That pretty much is a given. But that was never the point of this film anyway. No, all this film tries to do is offer you decent entertainment for those lazy or free moments where you just want to be distracted a little. This is why this film being released on Netflix is almost brilliant. That is all I can say about this film. Nothing special, but not bad and in this day and age that is a plus.